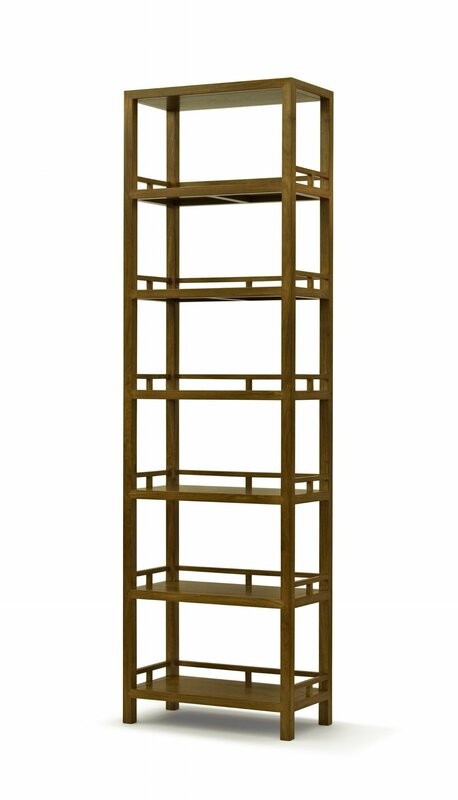 SH 961 - Bespoke Chinese Ming style shelf made in solid wood, best of breed joinery architecture and fine finish. Not all natural color wooden shelves are alike. The mitre and corner joints of our open shelves like this one are clearly visible. They are faithful implementations of best of breed joinery standard, which contribute to the exceptionally sturdy structure of our bookshelves. When being used one will also observe that the strong shelves display minimal sagging despite prolonged downward pressure from heavy books.